The dog days of Summer are fast approaching. 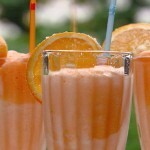 In many parts of our beautiful country sweltering temperatures can bring on the craving for a cool refreshing treat. A simple icy fruit cocktail such as a citrus spiked Granita can instantly placate a parched tongue. Ever wonder what exactly is a granita or how sorbet differs from ice cream? Keep reading for the 101 on these sweet frozen treats and more. Ice Cream – consists of milk, cream, sugar, and sometimes egg yolks. Constant churning during the cooling process incorporates air into the ice cream giving it a smooth light creamy texture. 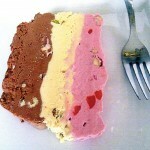 Spumoni – resembles Neapolitan ice cream. 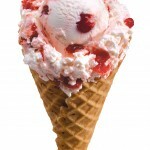 It consists of three layers of different flavored ice cream: Chocolate, pistachio and cherry or raspberry. Unlike the ice cream version of Neapolitan spumoni has actual bits of fruit and nuts. Gelato – begins with a base of sugar, milk, very little cream, and sometimes eggs. The Italian gelato differs from ice cream in three ways. First, it uses a lower proportion of cream. The reduced butterfat does not coat the tongue as ice cream tends to do producing a more intense flavor. Second, the gelato mixture is churned at a slower rate. Less churning equals less air and a more dense gelato. Thirdly, gelato is frozen at a slightly warmer temperature. The higher freezing temperature results in a silkier and softer texture. Sherbet– is often confused with sorbet. Sherbet differs from sorbet in that sherbet contains milk and sorbet is made with fruit. 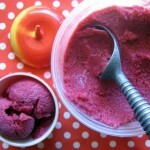 Sorbet – is a frozen fruit puree made from fruit juice or frozen fruit, and simple syrup. 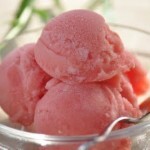 A classic sorbet has alcohol in it and it may be used to cleanse the palate before the main course. To make sorbet all the ingredients are blended together in a blender or food processor; then poured into an ice cream maker. The churning process helps to create a very smooth fine texture. 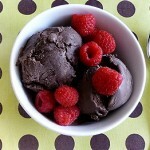 It is possible to make sorbet without an ice cream maker using a container and mixing periodically by hand. 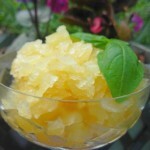 Granita – is made with pureed fruit, a simple syrup, and a squeeze of lime or lemon juice to balance the flavors. The result is a refreshing ice. Unlike sorbet the liquid is poured into a shallow dish and frozen. At intervals, the mixture is scraped with a fork to break up the ice crystals as they form. Because the granita is not churned it is coarser than the sorbet in texture. 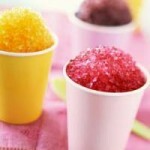 Snow Cones – (shaved ice) are coarse grainy cups of shaved ice flavored with sugary syrups. The Hawaiian shaved ice has a ball of ice cream in the center similar to a cream pop. Italian Ice – is the American invention of the Italian Grattacheca. Grattacheca is similar to shaved ice except that the flavors are added before freezing. 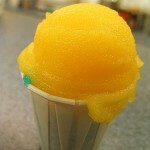 Italian Ice is sweetened with real fruit juices and bits of fruit. The ice is coarser than a sorbet and finer than a granita. 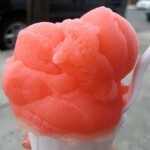 Water Ice – is also an American concoction often referred to as “Italian Ice”. 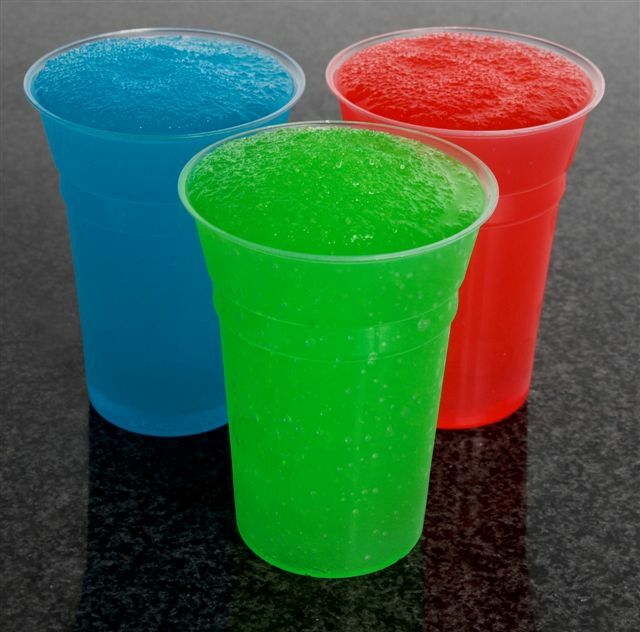 Water ice is as smooth as a slushy yet firmer and is eaten with a spoon rather than sipped through a straw. 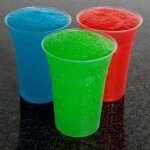 Slushy – (called slurpee/ICEE) is a frozen drink flavored with sugary syrup. The constant churning motion keeps the slushy smooth. You can make a slushy at home by putting a plastic bottle of soda in the freezer. Rotate the bottle every half hour to distribute the ice crystals evenly until chilled but not frozen. 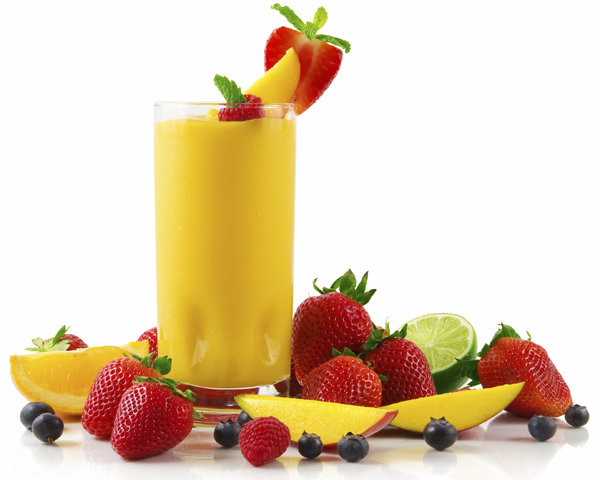 Smoothie – is a fruit flavored drink. 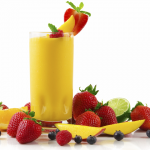 Fresh fruit is blended together with flavored water or fruit juice or milk. Mochi – is a confectionary treat from Japan. 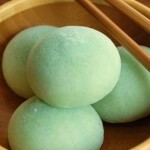 Little ice cream balls are wrapped in soft fluffy dough called mochi, pounded rice cakes, and dusted with rice flour. They come in a variety of flavors but chocolate, strawberry, vanilla, mango and green tea are the most commercial. Spritzer – is a drink made with alcohol and carbonated water. Spritzers can also be made non-alcoholic by replacing the alcohol with fruit juice. Sub flavored syrup for the juice and you have an “Italian Soda” that is not so Italian but rather another American invention. Add a scoop to either one for a refreshing frozen treat similar to the “ice cream float”. I awoke one morning to find an enormous zucchini on top of the kitchen island. A friend at Stephen’s work brought them in. He said there were more but he was not sure how many I would want. This giant cuke was plenty. Part of the zucchini went into a batch of muffins. I shredded the rest then stuck it in the refrigerator until the next day. I needed some time to come up with alternative uses for zucchini. This recipe for zucchini cornbread caught my eye. The bread part is a bit misleading. It is definitely a casserole. 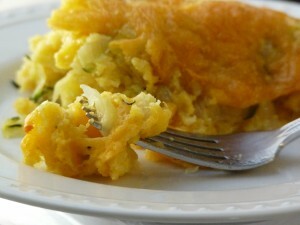 Something more like a spoon bread than cornbread. I forgot to buy corn mix while at the supermarket and so I had to make my own mix. I have included the recipe for the mix below. I apologize I forgot to write down the name of the site I found the cornbread mix recipe on. It would be nice to have the rest of the ingredients list to make the cornbread. I will keep looking! Until then enjoy a spoonful of zucchini cornbread casserole. Mix all the ingredients together in a bowl or ziplock bag. Growing up in the South ribs were a pretty common commodity at dinner, picnics and barbecues. In Texas the golden trumpet of barbecued meats was the brisket. While here in California is seems the beloved Tri-tip takes 1st place. I have never cooked ribs before, ok once at a friends house but my sister was co-chef and we ended up charring them to death; which was not much different from the way my father grilled them. It has been 11 years since I left the Sunshine state and even longer since I had rib because I was a pour college student. I was not about to let another summer go by without the taste of ribs. Yes I have been to a BBQ restaurant our here but what they served up did not constitute fine finger lick’n Southern barbecue goodness. The worst part was what they tried to charge for the monstrosity. This recipe was tucked away in my file folder of ‘need to try’ recipes. It is not Dale’s BBQ but they were tasty and satisfying. I have to confess though I do not have a grill so our ribs were roasted in the oven. It is not the same as eating real slow cooked smoked ribs where the meat just falls off the bone but they were moist and tender so if you do not have access to a grill it is doable. For Grill: Soak 3 cups woods chips in water according to the package directions or for 1 hour. Meanwhile, combine 2 1/2 tablespoons brown sugar, paprika, onion powder, celery salt, salt and pepper. Run a knife down the length of the bone side of each rack to split the skin, then season all over with the rub. Remove the grill racks, arrange a drip pan or disposable baking sheet on one side of the grill to catch drippings. Drain the wood chips and transfer to a 2-foot long sheet of heavy duty foil. Wrap tightly creating a secure pouch, then poke 10 holes in the top to create a smoker box. Place the pouch on the side of the grill opposite the drippings pan. Set the grill racks into place, close the grill and preheat to 325 degrees. Working quickly, arrange the ribs, meaty side up, over the drip pan. Grill, covered, turning occasionally, until the meat shrinks away from the bone and is fork tender, about 3 1/2 hours. Meanwhile, in a small saucepan, combing the remaining 1/2 cup brown sugar, the ketchup, honey and vinegar over medium high heat and season with salt and pepper. Bring just to a boil, then lower the heat to medium low and simmer, stirring occasionally until smooth, about 5 minutes. Brush the ribs all over with the sauce, arrange meaty side up and grill uncovered, turning once at 200 degrees for 20 minutes. Cut the racks unto individual ribs and serve with the sauce on the side. For a tangier less sweet sauce add more vinegar. To bake in the oven: prepare ribs as above with rub. 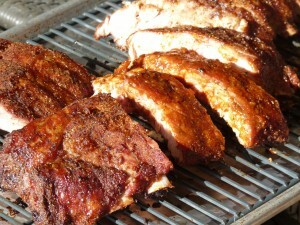 Wrap ribs in heavy duty foil and bake at 300 degrees for 2 1/2 to 3 1/2 hours. Check ribs after 2 1/2 hour mark if they are tender coat with sauce and continue to bake 20-30 minutes.Watch the ribs like a hawk. The oven tends to dry meat out especially pork.